Is there a way to put multiple receipts into one transaction? For instance, a restaurant gave me 2 receipts — one itemized and one showing the final charge amount. Can I combine them in Veryfi? Yes. 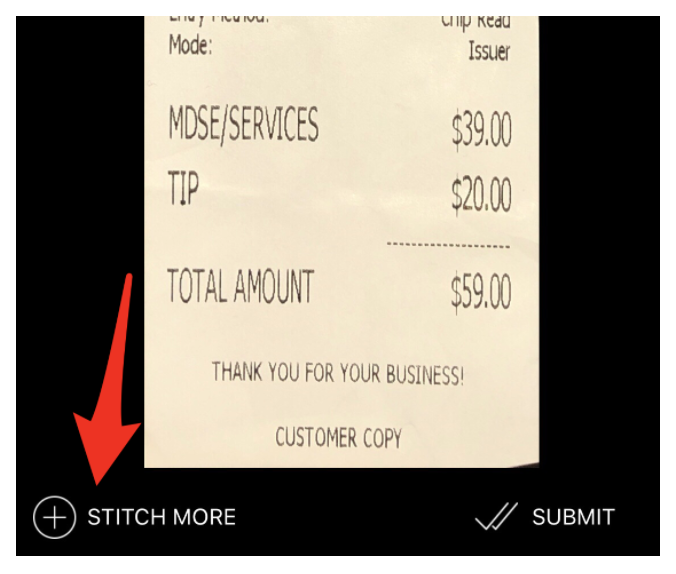 You can “stitch” multiple receipts together and upload them to Veryfi. Veryfi will then create a PDF document with all the images under one transaction. Launch your Veryfi mobile app, scan your first receipt, then you will have the option to stitch more together (up to 5 total). After you stitch the receipts together, tap “Submit” and everything will appear as one PDF.